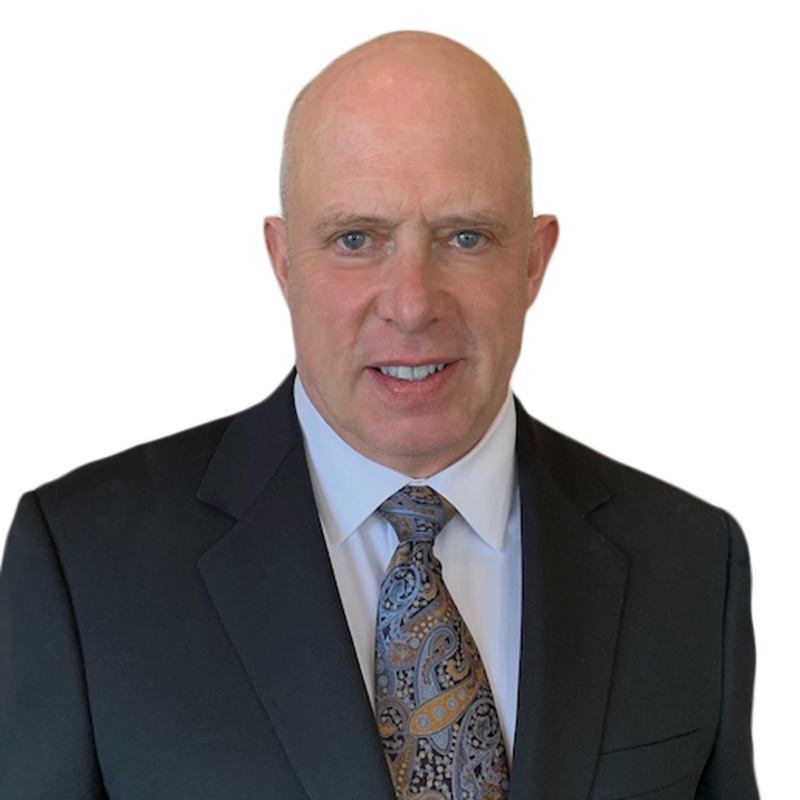 Brett Godfrey has 32 years of trial experience, and an extensive medical, scientific and aerospace background. He is rated AV by Martindale-Hubbell’s Peer Review Rating System (the highest attorney rating available). He was first listed by Denver’s 5280 Magazine as a Top Colorado Super Lawyer in 2006 and remains so today. Jury trial experience: Mr. Godfrey has served as lead counsel in 98 jury trials throughout the United States. His diverse trial experience includes complex commercial claims, product liability, insurance bad faith, medical malpractice, lender liability, fires and explosions, computer liability, class-actions, civil rights, employment discrimination and employment contract disputes, premises liability, criminal defense and automobile cases in state and federal courts. He also has substantial experience in FINRA securities arbitrations and SEC administrative matters. Appellate experience: Mr. Godfrey has served as lead appellate counsel in a large number of cases, establishing new law in State and Federal court. Click to see a list of Mr. Godfrey’s published appellate cases. International legal experience: Mr. Godfrey has handled litigation in England, Scotland, South Africa, China, the Seychelles Islands, Canada and Mexico, including supervision of local counsel in those countries and coordination of high-stakes multi-national litigation. Engineering experience: Before becoming an attorney, Mr. Godfrey served as the Senior On-Site Chemical Engineer for a subsidiary of the Williams Companies, designing the entire control system for an advanced chemical processing facility in Wyoming, pioneering the successful use of new technologies employing sophisticated ceramic and titanium flow components and automated control technologies, designing new hardware components and writing the software to control most of the plant. Earlier in his engineering career, Mr. Godfrey worked in research and development laboratories at DeSoto, Inc., a chemical coating manufacturer, and Environecs, Inc., a maker of computerized industrial pollution control equipment. In the context of his work as both an attorney and an engineer, Mr. Godfrey is experienced in design and development of preventive measures relating to product liability and plant safety. He has designed protective devices and warning labels, written instruction manuals for experimental new equipment, written safety procedures and performed human factors analysis of human error. These professional experiences afford Mr. Godfrey unique knowledge and background which is priceless in the context of litigating high-technology disputes, such as product liability and patent cases. Mr. Godfrey’s engineering litigation background has also enabled him to produce impressive results in large-scale construction defect litigation involving residential, commercial and steel building construction. Business law background: Brett has litigated a large number of high-stakes business disputes involving licensing rights, intellectual property claims, royalty disputes, unfair trade practices, price discrimination claims, accounting disputes, sales contract disputes, franchise agreement disputes and other corporate litigation, including civil RICO (Racketeering) and multi-district litigation. Military & aviation experience: Mr. Godfrey is a former Air Force officer, with substantial experience in aviation law. He is also a pilot with multiengine and instrument ratings. His most recent aviation experience includes acting as Pilot In Command of the firm’s Cessna 421C Golden Eagle, in which he logged over 600 hours in all-weather IFR operations. Brett has flown 4 different kinds of jets and turboprops and more than a dozen types of piston airplanes, as well as two different types of helicopters. Brett has litigated glider crash cases, helicopter crashes, plane crash cases and he has been involved in both civilian and military air crash investigations. He has successfully and safely handled serious in-flight emergencies, including engine failures, without damage to persons or property. As an aside, Mr. Godfrey has logged over 2,000 skydives and was a competitive parachute jumper for 5 years. Obtained $14.4 million award for owner of residential apartment complexes in Texas following 8-week arbitration. Successfully defended Federal Fair Labor Standards Act / Colorado Wage Act claim tried to jury in U.S. District Court. Succeeded on appeal before Wyoming Supreme Court in case involving contested oil & gas royalties. Obtained $3 million jury verdict for aircraft dealer following collapse of hangar roof. Obtained $4.5 million settlement for corporate client in contract indemnity case arising out of fatal workplace accident. Successfully defended patent infringement jury trial in U.S. District Court involving subatomic physics. Successfully defended multi-fatality air crash cases. Successfully defended stock fraud claim brought against high technology instrumentation company by former CEO. Successfully defended loss of vision claim tried to jury following head injury in apartment community. Successfully defended the largest FDCPA class action ever tried to a jury (USDC for Northern Dist. of California), and thereafter successfully argued before the 9th Circuit US Court of Appeals for the disqualification of class action counsel. Obtained $3.1 million jury verdict for client in commercial contract dispute related to the sale of dental practice. Developed and presented the most scientifically sophisticated helmet product liability defense ever presented in federal court, integrating expert testimony from 7 separate scientific fields and cutting-edge computer animations and laboratory re-enactments. Obtained $14.8 million recovery for Larimer County, Colorado, in an engineering-defect suit against contractors in connection with engineering defects in several arena-size steel buildings at the Larimer County Event Center. Obtained nearly $10 million for corporate clients in relation to computer software and hardware liability. Secured contested licensing rights for a client in a dispute related to Asian distribution of major database engine, including the successful representation of a corporate founder in federal court with related proceedings pending in Chinese courts. Tried several insurance bad faith cases on both sides of bar. Obtained more than $10 million dollars in compensation for homeowners in residential construction defect suits. Obtained $5.5 million recovery for owner of single-family dwelling in combined construction defect and bad faith case. Litigated several civil RICO claims with uniform success for both plaintiffs and defendants in U.S. District court. Defended class actions involving construction defect and product liability allegations, with complex engineering issues. Successfully defended hospitals and public entities in multiple ADEA claims federal district and appellate courts. Created new law in the context of his uniformly successful defense of ski areas and chair lift manufacturers. Was the first attorney in the world to successfully enforce an American Subpoena on South African soil pursuant to the Hague Convention and related international laws. Defended many medical device cases involving “state-of-the art” and “learned intermediary” defenses, related to complex technologies. Obtained record-setting compensatory damage award in civil auto case in northeastern Colorado state court. Successfully managed multinational litigation as lead counsel in 5 countries simultaneously in which claims of more than $40 million were asserted. Litigated airplane and heliciopter crash cases. Corporate crisis management: Mr. Godfrey’s experience also includes extensive involvement in corporate crisis management, including legal and business and management advice to corporate chief executives in the midst of catastrophic press events, public turmoil, corporate acquisitions and takeovers, employment disputes, public offerings, media relations, risk management analysis, restructuring and compliance disputes. Mr. Godfrey has advised corporations and executives in the aftermath of fatal accidents, layoffs and reductions in force, public scandals involving senior corporate officials. Mr. Godfrey has also assisted with the development of risk management structures and underwriting of specialty insurance, including providing unique risk assessments to some of the largest insurers in the world in the context of evaluating risk appetite for specialty and manuscript insurance coverages. Publications: Mr. Godfrey has authored numerous published articles in various legal textbooks and periodicals, including the Colorado Lawyer, Trial Talk, Inside The Minds, Flying Magazine, Colorado Law Week and others. Mr. Godfrey’s various treatises have been used in the insurance industry as training materials for more than 20 years, and his seminar articles have been published in national publications, including his AAJ (ATLA) annual convention book submissions. Mr Godfrey is experienced in natural resources law, and assisted Professor John Lowe in the research and writing for the Second Edition Nutshell on Oil and Gas Law. He also edited the Rocky Mountain Mineral Law Newsletter for one year in 1986. Some of Mr. Godfrey’s specific publications may be found here. Expert testimony: Mr. Godfrey has testified as an expert witness in insurance bad faith and legal malpractice actions. 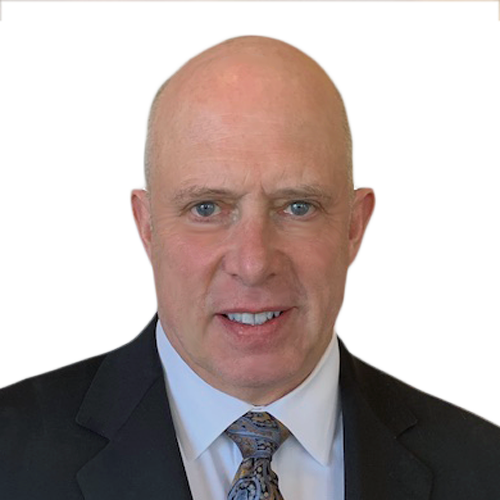 Community Service: Brett has served on the Board of Directors for the Denver Area Council of the Boy Scouts of America and has served on the Board of Directors of two drug-rehabilitation programs. He has volunteered his time and resources to fundraising activities for Habitat For Humanity, the Denver Children’s Home and several other charities involved in mental health, drug-abuse prevention and protection of women from violence. Hobbies: Brett loves painting, writing (fiction and non-fiction), computer graphics and web design, skiing, backpacking, scuba diving, skydiving, flying, martial arts, defensive pistol competition and gunsmithing. He also studies philosophy, comparative religion and physics. Senior Fellow, Litigation Counsel of America, trial lawyer honorary society. Embry-Riddle Aeronautical University’s annual Aviation Law and Insurance Symposium will feature a three-member panel discussion with Brett Godfrey, joined by Mark Dombroff of McLean, VA, and Robert L. Parks Miami, FL, discuss the future of the practice of law and the developments that litigators must be prepared to embrace and utilize in keeping their practices effective, successful and competitive. Discussion topics will include the future of portable information technology and advanced use of the Internet and cloud services as firm and caseload management tools, as well as a discussion of the future of advanced technology in litigation. Details & registration. National Business Institute sponsors this 6-hour national video webcast features three of America’s top trial lawyers, Brett Godfrey, Dennis Dore and Daniel Torrens. Explore the complexities of voir dire psychology, tactics and methods used by seasoned veterans in questioning potential jurors, researching and preparing for jury selection. Details & registration. This National Business Institute seminar by Brett Godfrey provides an overview of cutting-edge trial methods for use in complex, high-stakes litigation, including strategies for designing a tapestry of expert witnesses presentations, with an emphasis on evidentiary foundations and admissibility; data management and electronic evidence; presentation graphics technologies and direct and cross examination techniques. A two-hour private seminar provided to insurance professionals and litigation attorneys covering basic operations on drilling rigs, mining operations and petroleum production and refining facilities, with discussion of typical safety failures and sources of injury and death, as well as coverage of oil & gas contracts, master service agreements, indemnity contracts and specialized insurance issues. The EAA Airventure convention features Brett Godfrey discussing the loss of both engines in a twin-engine airplane over the Rockies during a blizzard at midnight, and what he had to do to survive the emergency. This image-rich presentation focuses on pilot training, use of simulators, mental approaches to handling emergencies, fear suppression and systematic thought processes under extreme pressure. A must for any pilot. The Rocky Mountain Aviation Exposition convention features Brett Godfrey discussing the loss of both engines in a twin-engine airplane over the Rockies during a blizzard at midnight, and what he had to do to survive the emergency. This image-rich presentation focuses on pilot training, use of simulators, mental approaches to handling emergencies, fear suppression and systematic thought processes under extreme pressure. A must for any pilot. This private seminar delivers a deep understanding of the mechanics of brain injury, including the structure and function of the gross anatomic structures of the brain, as well as in-depth discussion of various mechanisms of brain injury (such as diffuse axonal injury, acute organic brain trauma and toxic brain injuries), as well as discussion of how to manage and cross-examine medical experts in deposition and at trial. Download book. The Apple Store with Apple Computer hosts this private-invitation seminar for Colorado business leaders and IT professionals to learn how the law firm of Godfrey | Johnson, P.C. employs cutting-edge technologies on Apple platforms (computers, iPhones and iPads) to manage all aspects of a complex litigation practice. Brett Godfrey discusses software applications such as Daylite, Osirix, Word, Pages, Keynote, Adobe Creative Cloud, Trial Pad, secure networks, cloud-based billing and human resources and a host of other software packages are demonstrated and discussed. The Lawyer-Pilots Bar Association winter conference features Brett Godfrey discussing how to use the most advanced technological tools to manage complex litigation, including tools for document and data management, data mining, electronic discovery, new research tools and mind-mapping technology to develop strategies for case planning and tactical programming of cases to keep them on an effective advocacy track. Embry-Riddle Aeronautical University’s annual Aviation Law and Insurance Symposium features Brett Godfrey explaining, in this graphics-rich presentation, how to litigate complex structural and materials engineering issues related to defective pre-engineered metal buildings, drawing upon his years in representing steel building manufacturers and his successful pursuit of the record-breaking settlement he secured as special counsel for Larimer, County, Colorado, obtaining sufficient funds for the county to rebuild the entire Larimer County Events Center arena complex. The Lawyer Pilots Bar Association features Brett Godfrey explaining, discussing how to use technology in trial. This seminar covers how to design a theory of the case that revolves around a carefully and strategically created tapestry of expert testimony, including discussion of key foundation and admissibility evidentiary issues. Examples are given from a series of complex jury trials, including discussion of how to track and mine data, electronic discovery issues, motions practice, the use of models in the courtroom, tracking vast numbers of depositions without the usual cumbersome transcript tools. Discussion of how to use mind-mapping software to track issues, testimony, exhibits, tasks and case planning are included, as well as a discussion of current trends in commercial law.